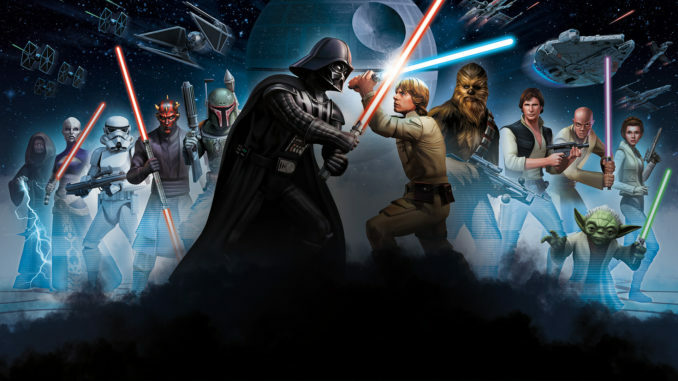 A Geek's Reaction: What's the Future of the Star Wars Saga? HomeMovie and TV NewsA Geek’s Reaction: What’s the Future of the Star Wars Saga? 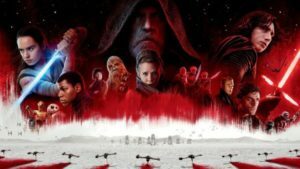 A Geek’s Reaction: What’s the Future of the Star Wars Saga? It should come as no surprise that I’m a huge fan of the Star Wars franchise. I’ll admit, it was a bit touch and go there with the prequels, but I loved the current sequels, anthology films, and the animated series Star Wars: Rebels. Two weeks ago, the Rebels story came to a close with a worthy series finale, but it ended in a fairly open ended way. It created about as many questions as it answered and left me wondering about the future of the franchise. So here’s what we know and what we can guess. Spoilers for Star Wars: Rebels series finale to follow! You’ve been warned! 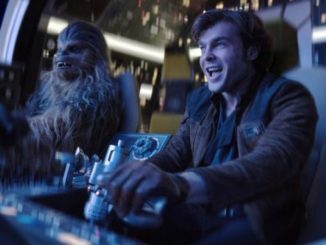 This May, Solo: A Star Wars Story will hit the big screen. Next year, we’ll see the conclusion of the Star Wars sequel trilogy and… then nothing? There’s nothing officially announced for 2020 — even though an anthology film was announced way back when Disney bought Lucasfilm — and it’s hard to believe that Lucasfilm won’t release a Star Wars movie that year. It is possible that the production studio only plans on releasing one film a year and, if so, that slot is already taken up by Indiana Jones 5. That said, there’s a lot pointing to Lucasfilm releasing a Star Wars film in 2020. There’s the long rumored Boba Fett movie that Josh Trank originally signed on for as well as an Obi Wan film starring Ewan McGreggor. Samuel L. Jackson has expressed interest in reprising Mace Windu and Liam Neeson has said he was open to returning as a force ghost. More than that, Stephen Daldry has been rumored to be developing a Kenobi film since last summer. McGreggor, Neeson, and Jackson are arguably the best parts of the prequel series and Mace Windu being alive may be one of the few things that would move Kenobi to leave Tatooine. Simon Kinberg has also been rumored to be writing a film but there’s no word on what he’s writing and none of these possibilities have been officially announced. 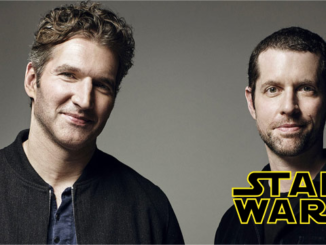 What has been announced are two seperate trilogies from The Last Jedi director Rian Johnson and Game of Thrones showrunners D.B. Weiss and David Benioff, respectively. The first Johnson film is rumored to hit the big screen on 2021. Forecasting into the future, let’s take into account that Lucasfilm has been releasing a new Star Wars sequel in the current trilogy every other year. With that in mind, it is possible that Lucasfilm will switch between the Johnson trilogy and the Benioff/Weiss trilogy every other year which would bring us six movies up to 2026. It is also possible that they would put both trilogies on three year release cycles (mirroring the original and prequel trilogies) interspersing anthology films in between. One of the reasons I think that this may be the case is that by doing it that way, Lucasfilm could plan out a good decade worth of Star Wars movies. What would happen after ten year of Star Wars anthology movies? Why, Star Wars Episodes X to XII starring older John Boyega, Daisy Ridley, and Oscar Isaac. We have even fresher news on this front with Jon Favreau announced as producing and writing a live action Star Wars series. It’s too early to know what the series will be about but the only possible hint we may have is that fan-site Yakface recently discovered that the term Star Wars Resistance has had four major trademark registrations from toys to video games to swimming goggles. Of course, even if Star Wars Resistance is a television show, it may not be Favreau’s series. 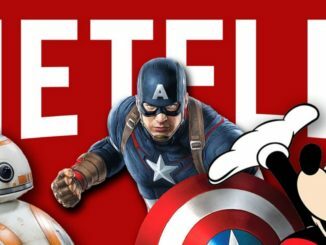 Disney CEO Bob Iger revealed a month ago that there were “a few” TV shows being developed for the Disney streaming app. 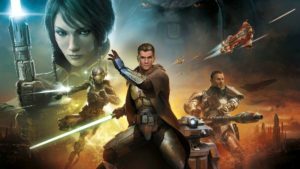 Resistance sounds like it could cover something before the current sequel trilogy but that isn’t the only possible series we’ve heard about. George Lucas was developing a live action series called Star Wars: Underworld and had 50 hours worth of episodes written for the series which is a bit of a goldmine to work from. Kathleen Kennedy said a few years back that nothing was thrown away and they were looking at it so we could potentially see a series set in the criminal underworld set on Coruscant. And then we need to address the Star Wars: Rebels finale. Avoiding as many spoilers as I possibly can, the end of the series satisfactorily answered the question of where Jedi Knights Kanan Jarrus and Ezra Bridger were during the original trilogy. 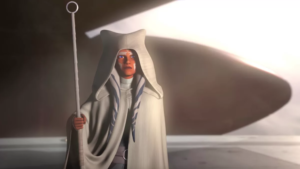 But in doing so, it opened the door to a new series where Ahsoka and Sabine Wren are searching for where Ezra disappeared to with Grand Admiral Thrawn. The novel trilogy that dealt with the aftermath from Return of the Jedi along with the Thrawn novel hinted at something terrible in the Unknown Regions of the Star Wars universe. Even Supreme Leader Snoke has some backstory hints that connect him to that part of space so I suspect that the Unknown Regions is where Ezra and Thrawn went. I never expected this part of the galaxy to really come into play in the sequel trilogy but it would be perfect for Clone Wars and Star Wars Rebels creator Dave Filoni to explore in a third animated series. Surprisingly, that means Filoni will have made his own trilogy of animated Star Wars television series. And we know how much Star Wars loves trilogies. Doddle Digest: Lord of the Rings, Indiana Jones 5, The Matrix and More!